Beeswax 1 pound block - a 1 pound block measures 6.25" x 3.75" x 1.25". You will receive 16 of these 1 pound blocks. You'll get 16 - 1 pound blocks! The beeswax was BOMB.com, shipped hella quick and the quality was prime time! Beginner candle maker here. I wanted give something new a try for the winter months. The wax smells very nice and looks like it's a good quality. Made a few 8 inch hand dipped tapers. They burn very nice and clean. No drips or smoke. Beginners luck maybe. I'll buy this brand again. I'm very satisfied with the beeswax. 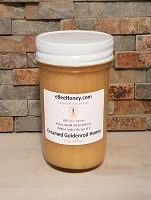 16 pounds is a lot for my purposes, but when it comes time for more I will be re-ordering from eBeeHoney! This is the BEST beeswax! I use it to pour candles (mostly 12" tapers) & this is by far the most luxurious wax I've used. It's sticky, has a satiny smooth melt, and smells like honey, flowers, & sunshine with nothing added to it. I've ordered multiple times and quality is always the same with crazy fast FREE shipping to Maui. It's exactly what it says- slightly tacky, wonderful smelling beeswax. If you think that it takes 55,000 miles of flight to create a pound of honey, and it takes 8 pounds of honey to make 1 pound of wax, that's over 7 million miles flown by the bees for my 16-pound order! Well done little bees. YUMMY YUMMY YUMMY and great value..
As the creator of wild crafted artisan salves I use the purest ingredients that I can find. EBEE Honey beeswax is my go to, and has been for years. My heart smiles everytime I open a box of their scent filled wax! Proverbs 27:9 Ointment and perfume rejoice the heart... 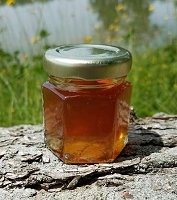 Your beeswax is the best I have ever smelled...I have made many balms, salves, creams and lotions with your beeswax and anyone who uses them is very happy with the quality. Thank you; I am a loyal customer and I recommend your beeswax and honey to everyone I know. Outstanding quality! Pure and consistent beeswax. No dirt or bee bits ever found. They make wonderfully smelling and burning candles. You won't find better. This has been the best beeswax I've found and I've used a lot. We use it to make hair products. The price is really nice and the shipping is FAST. 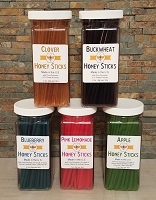 I'll continue to use eBeeHoney.com for all my wax (and honey!) needs. Thanks for making a great product! 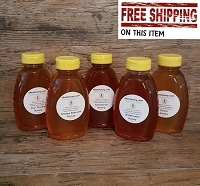 This is my first time buying from eBeeHoney.com. I love the quality of the Beeswax I received. I will be buying more to make our Pascal Candles. Also can never beat FREE Shipping. I purchased 16 pounds of this wonderfully smelling beeswax. We made candles with most of it and will use the rest for making herbal salves and lotions. It was truly beautiful beeswax..the smell is delicious. I will definitely purchase from here again. I was very pleased with the 16 lb of bee's wax I ordered for a home project. The product came in multiple block and use was very manageable. This wax is a delight to work with it and smelled just like the wax I remember my brother having years ago when he was a beekeeper. 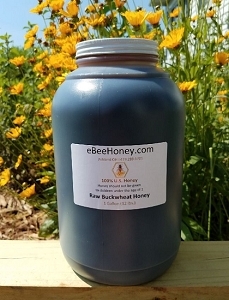 When I need products that eBeeHoney sells I will order with confidence. My order was shipped very very promptly. Hi I ordered 16lbs. and immediately began by making lotion bars. I plan to make candles and other skincare and beauty products with it. I searched far and wide for this and believe I have found the best quality and the best price. The fact that shipping is free adds the icing to the cake! Very happy with the beeswax I received. It is good quality and very clean. This beeswax is the real, pure, cut out of the frame and from the caps of the honeycomb. I am a beekeeper and I know quality fresh wax when I see it. Let me assure you that this is the real thing. No Doubt About It! 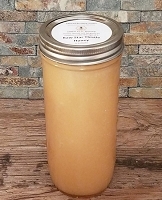 I have placed two orders for this bees wax and for certain will be making many more orders because this is the most wonderful bees wax I have ever encountered. 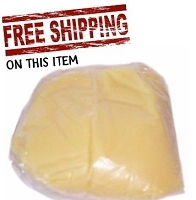 The free shipping is als a great bonus! 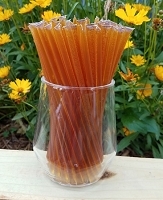 The wax smells just like honey, is pure, and makes beautiful candles, LOVE IT!!! 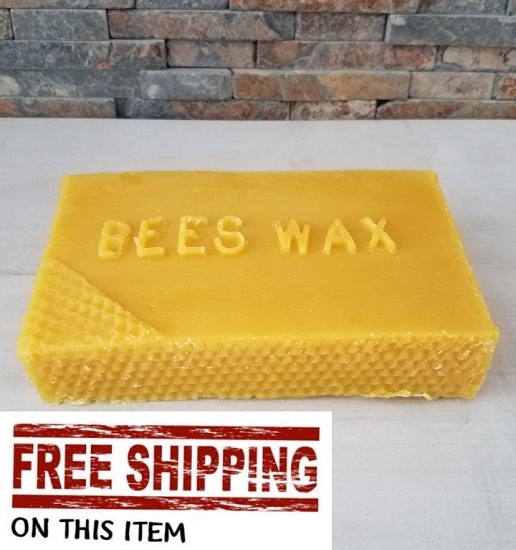 Great quality bees wax. I will order again. Thanks. I recently order 16 lbs of Beeswax for candle dipping with my grandchildren. The price was especially appealing because of free shipping (even to Alaska!) The package arrived within a few days and everything was packed well---and smelled heavenly! We will definitely order from you again. The beeswax is great! Smells wonderful!! I melted it down and used it to wax my raw butcher block countertop. It looks great and the woods naturally sealed.